Over the past twenty years Adam has honed his financial planning skills both in the U.S. and abroad. Starting his career in 1998 with Franklin Templeton’s Management Trainee program right out of UCLA he quickly rose to the top of his class working both in the U.S. and Europe for 5 years. 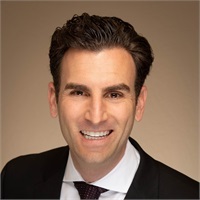 After gaining deep knowledge of mutual funds and the financial services industry, Adam decided to branch out on his own, opening Spiegelman Wealth Management in San Francisco in 2004. He expanded his practice, hired staff and was in the top 20 of all financial advisors at Northwestern Mutual for many years. He achieved Forum status, that organizations highest achievement. After a 14-year career with Northwestern Mutual, Adam decided that he needed a place better suited to serve his financial planning clients. In February 2018 Adam partnered with Commonwealth Financial Network and opened his own office in Lafayette, California. Adam successfully transitioned 95% of his clients and was quickly recognized as one of the top 54 advisors in the entire organization of 1,778 advisors, achieving Chairman’s Retreat, highest level of recognition based on a ranking of annual production. Adam and his team specialize by working with high-net worth families and individuals who are either approaching retirement or already retired. The team has worked together for 15 years. Adam is a fourth generation San Franciscan and volunteers his time by serving on the board of several local organizations. In his free time, he enjoys working out, travelling and spending time with his wife Robin and his three boys Noah, Eli and Simon and their Goldendoodle Charlie.